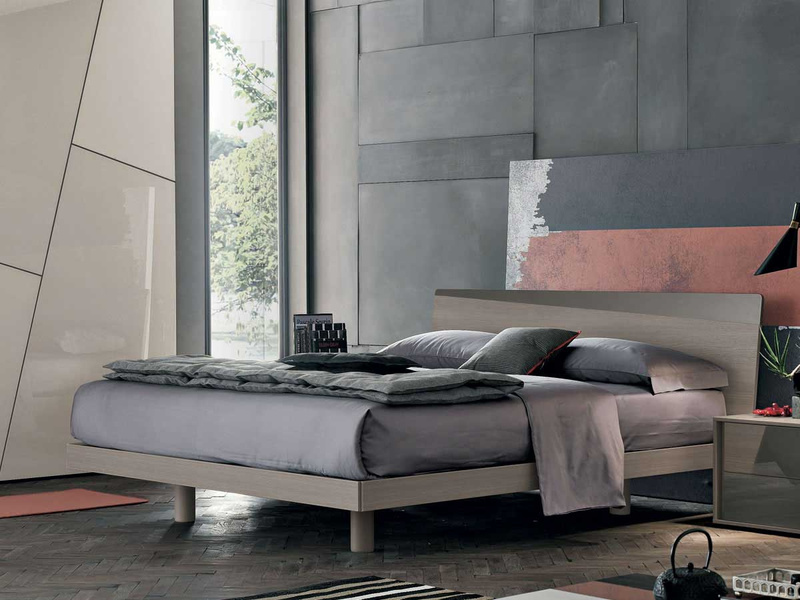 Charlie bed by Toma Italy. 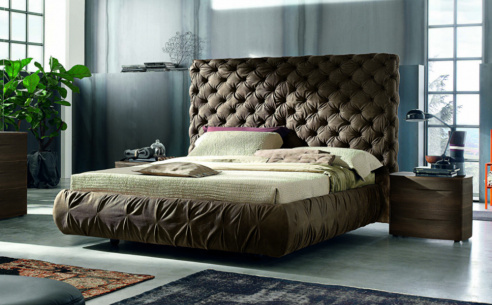 Functional bed in wood finish and contrast diaganol headboard insert for added style. Elevated bed set on wooden peg style feet with arched headboard. 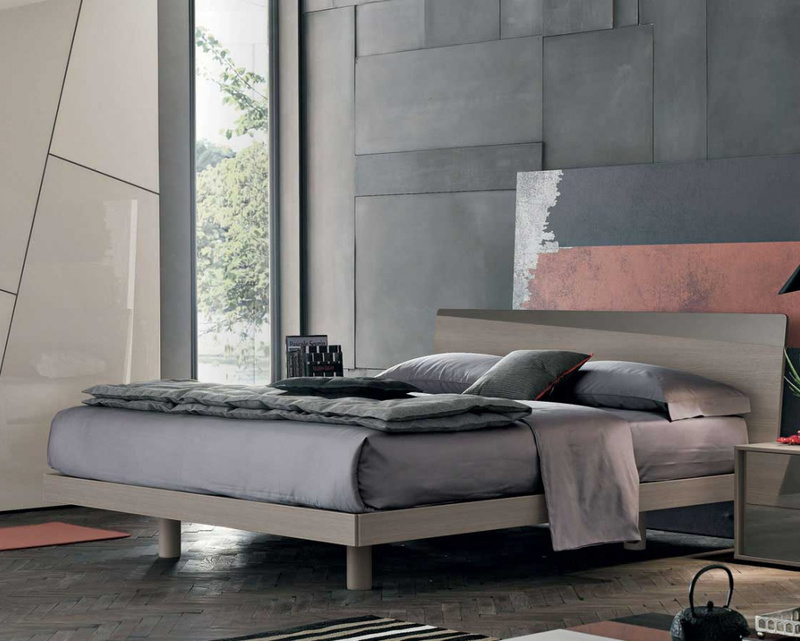 Bed available in a range of wood finishes.